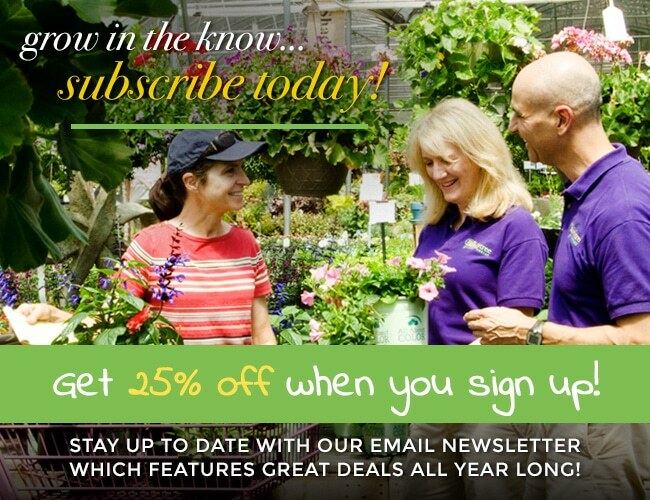 There are so many shrubs to chose from when you are landscaping and sometimes it can be overwhelming to sort out the numerous varieties and pick the right plant for the right place. Below are some great new selections that can be used for smaller spaces, and a lot of these varieties you won’t find anywhere else! This is the first prostrate camellia! We are excited about this introduction because it is so versatile. It can be used as an evergreen groundcover plant, or trained on a stake to be a weeping camellia. It reaches only 1 foot tall and 3-4 feet wide. Beautiful soft pink flowers cover this plant in late fall. 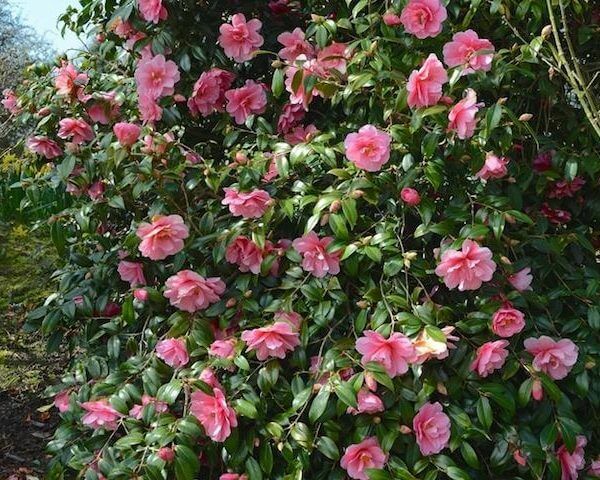 Marge Miller Camellia would look great spilling over walls. Also use it as a focal point on a stake surrounded by spring and summer blooming shrubs such as Crimson Fire Loropetalum, Drift Roses, or Creeping Gardenias. This camellia would do great in a container either spilling over the edge or staked with annuals around the base. 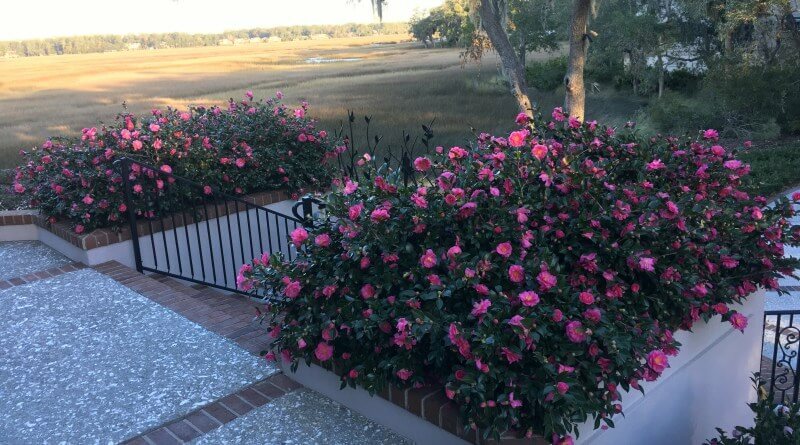 Just remember that camellias prefer a partially shaded environment. This camellia makes a great foundation shrub for that space that gets a little morning sun and is shaded the rest of the day. 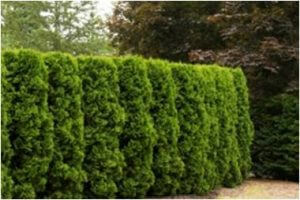 It stays evergreen and then in the fall it will be covered with semi-double rosy-pink flowers. Shi-shi Gashira gets 4-5 feet tall and 4-5 feet wide. 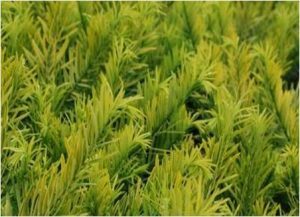 Use it as a foundation shrub and combine it with other shade loving lower growing plants such as Golden Dragon Plum Yew (details below), Hellebores, Autumn Ferns, and Hostas. A designer favorite for shady gardens. This new introduction combines the interesting texture of the yew family and has yellow foliage! Golden Dragon is evergreen and stays low only growing to 2-3 feet tall and 3-4 feet wide and will brighten up shady garden areas. Combine this plant with Camellias, blue Hydrangeas and other shade loving plants. Golden Dragon would also look good with Cast Iron Plant, or Coral Bells with burgundy foliage. It can also take some sun, so it is not restricted to the shade garden. 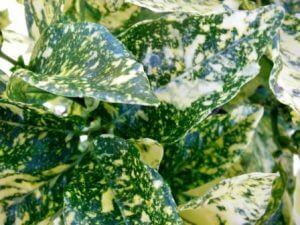 Another new introduction that will brighten up a shade garden. This Aucuba only reaches 2-3 feet tall and gets 3-5 feet wide. Aucubas prefer to grow in a very shaded environment so combine this plant with Cast Iron plant, Ferns, Hostas, Hellebores, and weeping Japanese Maples. 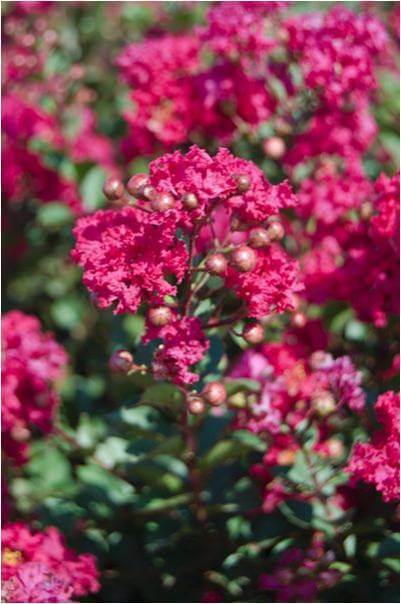 We all love Crape Myrtles for their endless summer flowers. 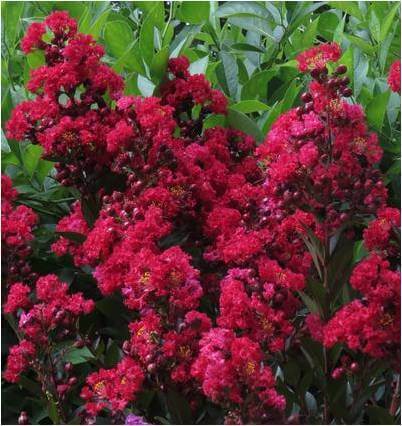 Enduring Summer is a dwarf variety with bright red blooms that last all summer. This Crape Myrtle would look great planted in groups or use one or three together to provide a splash of color among some evergreen shrubs. Enduring Summer can take full sun and is fairly drought tolerant once established. Definitely a sun loving, low maintenance addition to the landscape. Combine this Crape Myrtle with yellow foliage plants such as Fire Chief Arborvitae, Kaleidoscope Abelia, Gold Mop Cypress and you will get a stunning display. Another great new dwarf Crape Myrtle. This one has magenta pink flowers and gets 4-5 feet tall and 4-5 feet wide. Princess Kylie would be great in the middle of a border with taller shrubs such as Cleyera or Hollies behind it then shorter shrubs such as Crimson Fire Loropetalum, Kaleidoscope Abelia, dwarf Gardenias, or dwarf Encore Azaleas in front. Knock-Out roses have become so popular and sometimes we just want to use a different shrub than a Knock-Out, so the dwarf Crape Myrtles are perfect. At long last there is an option for an upright accent plant that doesn’t get too tall! Holmstrup Arborvitae gets 5-7 feet tall and only 2 feet wide so it would be perfect for an accent plant at the corner of a house or where you need a little privacy, but don’t have a very wide landscape bed. Arborvitaes have great texture and we love to combine these plants with other sun loving leafy evergreens such as Gardenias, Hollies, Encore Azaleas, Loropetalum, Cleyera, Indian Hawthorns, or Distylium.